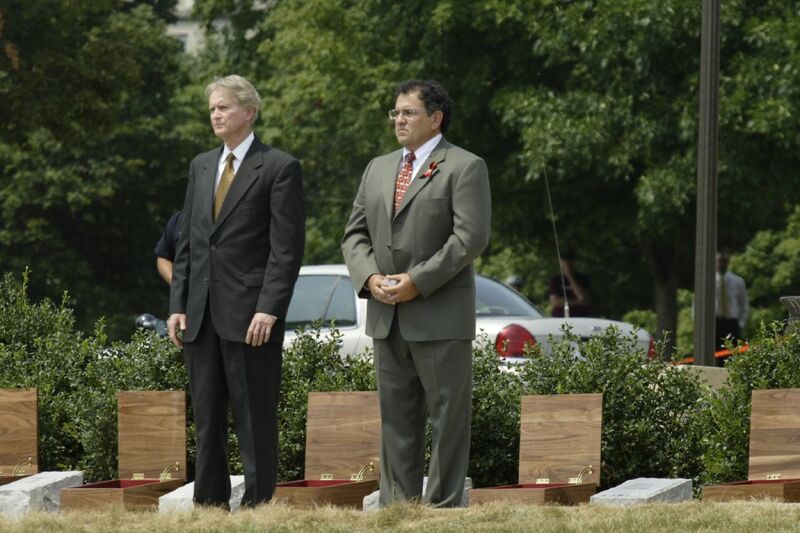 Vice President for Alumni Relations Tom Tillar (left) and an unidentified participant (holding a piece of one of the victim&#39;s Hokie Stones) at the dedication ceremony on August 19, 2007. Licensed under <a href="http://creativecommons.org/licenses/by-sa/2.0/">Creative Commons Attribution-NonCommercial-ShareAlike 2.0</a>. 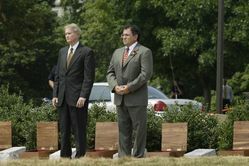 null, “Dedication6,” The April 16 Archive, accessed April 24, 2019, http://april16archive.org/items/show/1328.